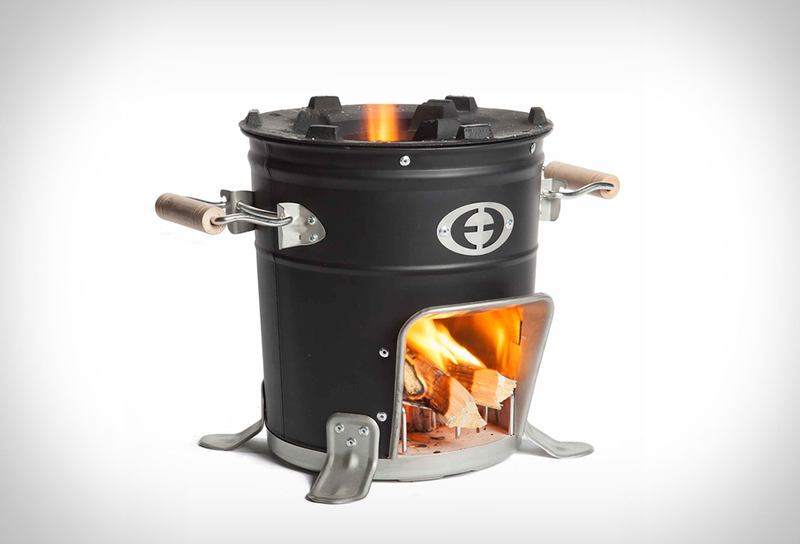 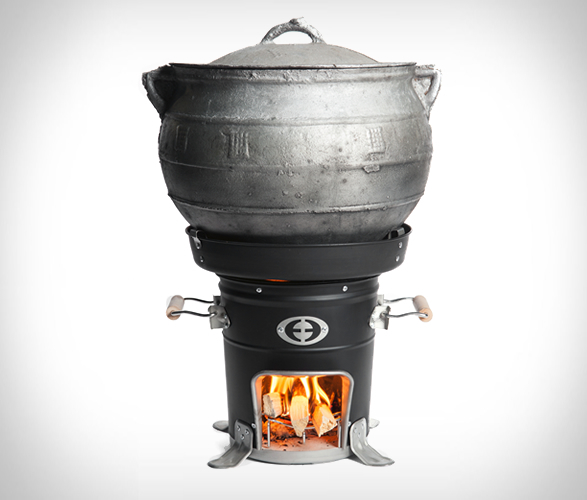 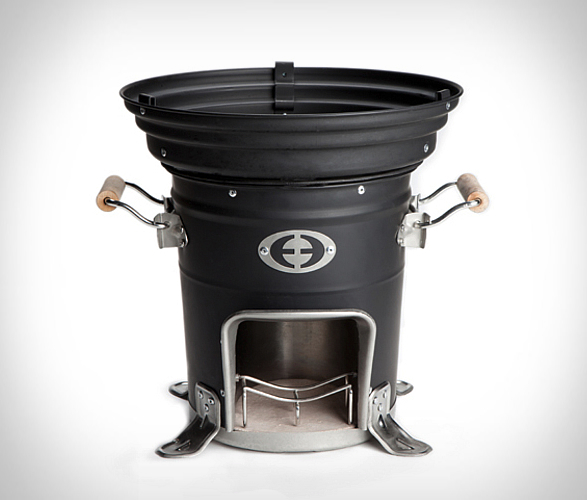 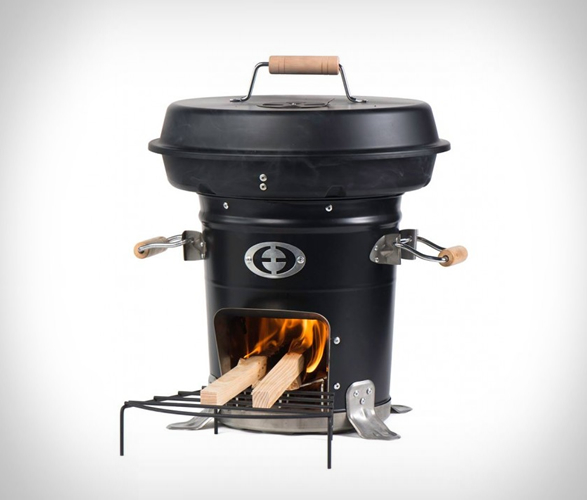 Rocket Stove will probably become your new favorite outdoorsy mate if you´re a fan of cooking in the open air. 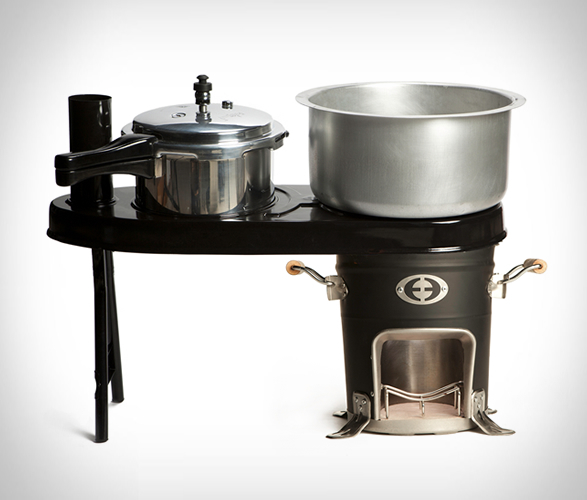 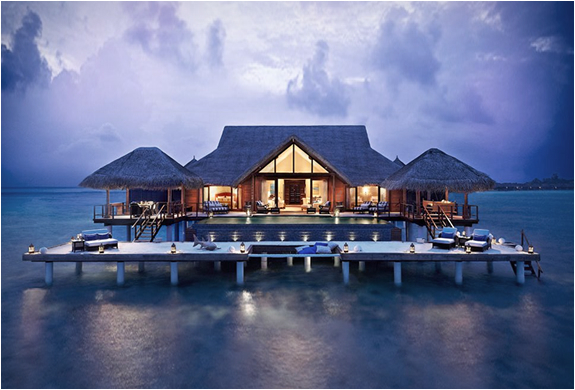 It may seem simple but there´s been some thought put into it making it practical, safe and efficient. 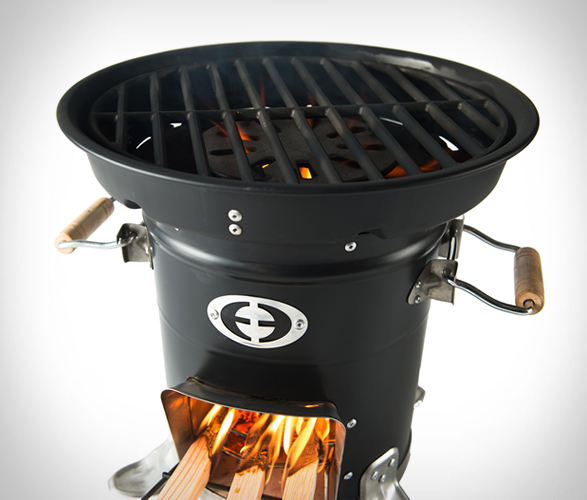 Built from a special patented metal alloy, it´s rugged and sturdy to withstand heavy-duty use, it´s light enough to carry with you on your long walks or trails (around 9 pounds), and has some practical features such as the legs on the side to improve stability, temperature proof handles, should you have to move it around, and with a nice list of accessories you can purchase on the aftermarket that fit its powerful combustion chamber such as the drip pan or the bigger and handy pot.